Stirling Shed Manufacturers have been on my list for a while. Mainly because of one company, Paterson Garden Buildings. 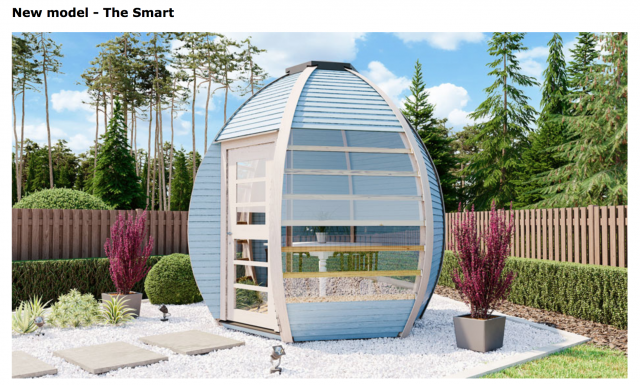 Patersons featured in our top Summerhouse Manufacturers in Scotland blog. They faired extremely well against the competition so I’m really excited to see how they do with their Sheds this time around. This blog is part of a series. I’ve made it my mission to review all the Shed Manufacturers in Scotland to help you make the right buying decision for your perfect Shed. In order to make this fair, we have to set a standard. The search is the same every time for every area. 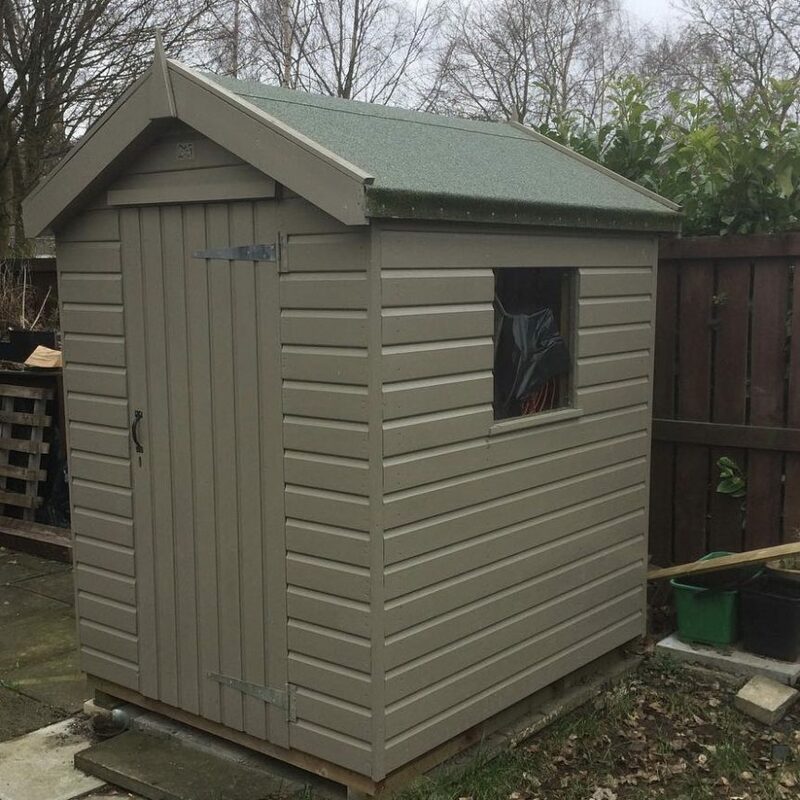 Garden Sheds Stirling was our Google search term for this blog and it has given us our 4 Shed manufacturers in Stirling to review. We’re not interested in the paid ads as they’re usually just the online companies which have mostly been reviewed in our other blogs and aren’t anything special really. So let’s stick with locality and the area that you are interested in. The words of Gary Paterson – who is clear on his principles when it comes to pricing and building specification. The first thing I LOVE about Paterson is that they don’t buy in, they are not a wholesaler – they make all their Timber Sheds and Garden Buildings themselves. And to top it off, they use a very similar construction close to my heart. Gary specifies 19mm thick tongue and groove Scandinavian Pine is what he uses for the cladding of his Sheds. This is always an absolute WIN in my book. Looking at Paterson Garden Buildings previous projects on their Facebook Page I can quickly tell that the finish and standard that Gary and his team are working to is seriously impressive. 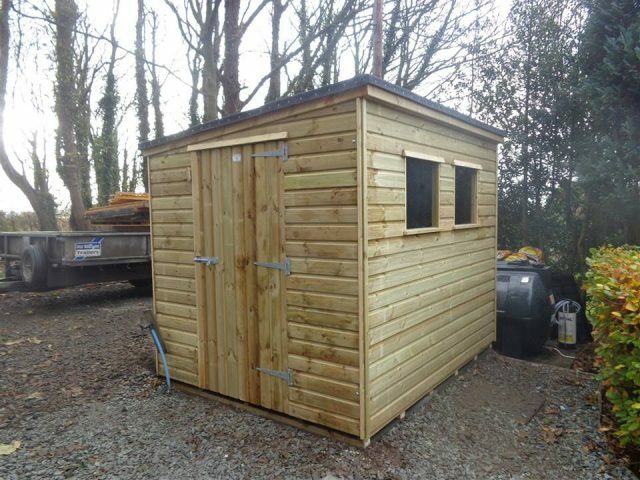 Here’s a Pent Shed featured on their FB page. From the image, it looks as though the felt is torch on and the cladding is pressure treated. Both fantastic methods of construction. The pressure treatment protects the timber from fungi and insects. The torch on is particularly important for Pent Sheds as they are susceptible to leaking on the felt joins – torch on stops this from happening. Unfortunately – I’m forever guessing with Paterson Garden Buildings and it really is my only complaint as everything else appears to be spot on. Even their customer reviews are full stars all around. But Gary doesn’t believe in publishing his prices. He also doesn’t give a full specification or even just a description to the pictures of the buildings he’s uploading to Facebook and now Twitter. Gary believes it’s best for you, the customer, to call him should you want to discuss the cost of his buildings, the design or the specification. This really gets my facia boards rattlin’ – WHY? Because it’s not about you Gary!! It’s about us, your customers, the people who want to buy from you but are put off by your lack-of-detail website and no pricing policy. Given my position, I have been ‘exposed’ to Paterson Garden Buildings prices before. Because guess what? It’s not a secret. And based on that I can assume that Paterson Garden Buildings are charging a premium price for a premium product. I see no harm for Paterson or for the customer if Gary were to simply give a description and the price at the time on the building photographs he uploads. This keeps the price specific to the pictured job only so Gary doesn’t get scared that someone might make him sell them a shed. It also helps the customer understand what kind of price range Paterson Garden Buildings is. So this dude, Hugh Nelson – he, like Gary, would like you to phone him. I’m not going to phone you, Hugh, but I am going to AWE at this?! What in Sheds name are we talking about here? I absolutely LOVE it. I have no idea if it’s fit for Scottish weather or if it’s even a practical space but it definitely LOOKS cool. Coming in at a cool £8,100.00 – this is without a doubt the most expensive Shed I’ve ever seen!! Hugh doesn’t tell us what kind of timber she’s made from, which is disappointing as for that price I would expect Hugh to know a bit more about timber. It is 28mm thick T&G – I suspect it may just be the usual whitewood crap but I want to believe it’s Oak or Larch or something equally solid. I can’t find Leisure Buildings Scotland on Facebook or on Google Reviews – which is really weird for a company that’s been in operation since 2002. I’ve checked their Companies House records and they are definitely still operating although their P&L isn’t great. I’m not going to bother with this. Absolute waste of time. Sick to the back of the Shed with Wholesale Southern European, Whitewood, Interlocking Log… PISH. (see Tuin blog). A quick round of applause for the heart of your garden… Timberheart. Aw sweetheart, it’s been a while. You may remember GBC from such blogs as Garden Sheds Aberdeen: Who is the best?. But here they are in Stirling next door to their good pals Dobbies and if there was ever a Gardening Institute for Overpricing its Dobbies! True to form, GBC are continuing the wholesaler’s theme and charge a sweet penny for the handling fee. I’ve taken the decency of designing an 8’ x 6’ for you to the best that ‘Fort’ can muster. Fear not, as with GBC there is always a saving to be had – they are literally the DSF furniture sale of the Sheds land. For some reason, it’s a thing for Shed Manufacturers not to supply the bearers for the building to sit on? I don’t know why this is a thing, I’m presuming you as a non-shed-builder are just meant to telepathically know that bearers are a thing and you’ll definitely need them. Anyway – it’s probably not very professional of me to go totally hammer and nail on GBC – just because they’re a franchise doesn’t mean they don’t have feelings. They do, on the whole, offer a good range of different qualities. They have an easy online process for you to choose and upgrade if you wish and they are more than capable of delivering a decent service. The Shed I made up is a decent construction but it’s also about £300.00 dearer than it needs to be. Sorry, it’s been a bit ‘slim pickings’ for Stirling. It is, however, a classic case of Wholesaler vs Independent, and even though Gary from Paterson Garden Buildings continually lets me down on the whole transparent pricing and specification, I know he makes the better shed. GBC will never be a favourite and I’m not going to hide that. #SorryNotSorry just dinnae like getting ripped off. Paterson Garden Buildings, when you’re ready – give me a shout!